Showing results for tags 'medicines'. Celiac.com 03/18/2015 - A man who suffers from celiac disease has sued the FDA for allowing gluten to be used as a coating on prescription drug and over-the-counter medicine capsules. Remember, people with celiac disease can suffer intestinal damage when they consume gluten. This can damage can lead to neurological, among other disorders. The man, Michael Weber, was taking a generic drug seven years ago, and developed side effects consistent with ingesting gluten. Weber says he was unable to determine the drug’s gluten status through his pharmacist, and Weber went on to petition the FDA to either eliminate wheat gluten in medicines or require new labeling on drugs containing the protein. In 2011, the FDA sought public comments about the issue. In 2014, the FDA issued gluten-free definitions and labeling standards for commercial foods, but has failed to act on drugs. So Weber has now filed a lawsuit to demand the FDA do something. The complaint can be read here. This raises a couple of questions: Do people with celiac disease deserve to know if there is gluten in their medicine? Do they deserve access to medicines that are gluten-free? Should the FDA definitions and labeling standards also apply to drugs and medicines? 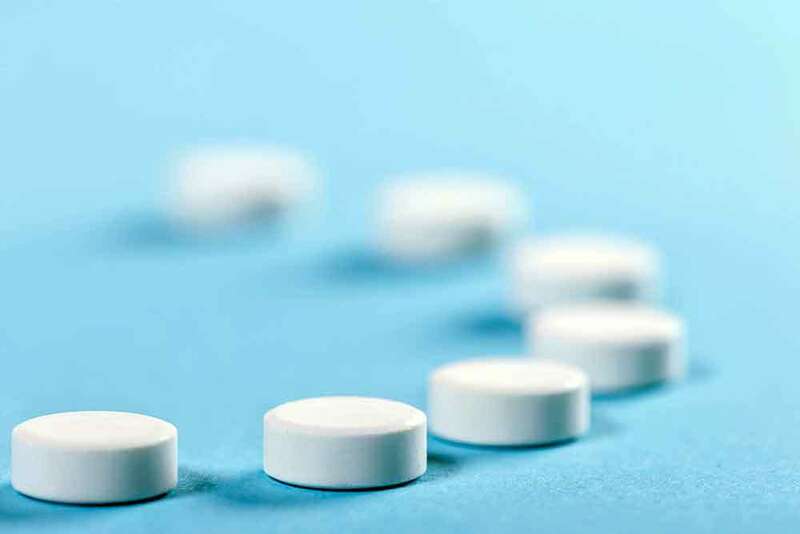 Celiac.com Article:Does Gluten or Lactose in Drugs Pose a Risk For Celiac Patients? Does Gluten or Lactose in Drugs Pose a Risk For Celiac Patients? So my doc. recommended me to take Gas X. And of course I constantly read conflicting reports if it contains gluten here and on the internet. Whether they are chewables or gel caps form. I've read that 'Gas X' gel caps by Novartis are gluten free. But on store shelves I only see 'Gas X' gel caps by GSK (glaskosmithkline). Maybe GSK bought Novartis??????? Can anyone, who has done recent verification, tell me if 'Gas X' gel caps by GSK are gluten free. Will Congress Act to Label Gluten in Medicines? Celiac.com 05/12/2015 - The current treatment for celiac disease is the avoidance of gluten-containing foods, beverages, and other products by means of a strict gluten-free diet. Following such a diet can be challenging, but recent FDA labeling rules go a long way toward helping people with celiac disease know with pretty good certainty whether a food product contains gluten, or is gluten-free. However, When it comes to prescription drugs, medicines, OTC products, supplements, and vitamins, people with celiac disease currently have little guidance. The FDA rules that mandate the labeling of gluten and other known allergens on food product labels does not apply beyond food. There are currently no rules mandating the labeling of gluten in drugs and medicines. That means that your average person with celiac disease might have a hard time finding out which medications, OTC products, supplements, and vitamins may contain gluten, and may experience adverse symptoms from continued gluten ingestion. A team of researchers set out to assess the role of pharmacists in educating patients and evaluating their medication use to ensure the optimal management of celiac disease. The research team included Ashley N. Johnson, PharmD, BCPS, Angela N. Skaff, BS, PharmD Candidate, and Lauren Senesac, PharmD. They are affiliated with the Pharmacy Practice Drug Information Center, and the Lloyd L. Gregory School of Pharmacy Palm Beach Atlantic University West Palm Beach, Florida. The team celiac disease review included Etiology and Risk Factors, Clinical Presentation and Diagnosis, Factors That May Impair Drug Absorption, Legislation, Management, and Resources. They found that pharmacists do indeed have an essential role to play in educating patients and evaluating their medication use to ensure the optimal management of celiac disease. This often can be accomplished by evaluating the ingredient list, contacting the manufacturer, or utilizing a variety of other resources. Gluten can potentially be introduced and contaminate otherwise gluten-free products during the manufacturing process, although the likelihood is low. Key points to consider are that even if a brand product is confirmed to be gluten-free, it cannot be assumed that the generic version is also gluten-free, and that if a product has a new formulation, appearance, or manufacturer, it is prudent to reassess it and confirm that it remains gluten-free. When evaluating the gluten content of prescription and OTC products, it should be remembered that gluten can be masked in an excipient. Starches used as excipients in pharmaceutical products are often derived from rice, potato, or tapioca, which are gluten-free. However, if the source of the starch is not explicitly stated, the excipients may contain gluten. Sources of excipients that contain gluten include barley, farina, kamut, rye, spelt, triticale, and wheat. Pharmacists play a pivotal role in educating patients about gluten-containing foods, medications, and supplements in order to help them adhere to a GFD and in ensuring that patients receive additional follow-up care, if needed. Source: US Pharmacist. 2014;39(12):44-48. Celiac.com 05/06/2015 - Gluten is a common ingredient in many commercial food products. Less commonly known, however, is that many manufacturers use gluten as an inert ingredient in such products as medications, supplements, and vitamins. For people with celiac disease, exposure to as little as 30 to 50 mg of gluten per day can damage the mucosa of the small intestine. So, it is important to know the gluten content of prescription and nonprescription medications, even though a lack of labeling laws can make it challenging to find products that are gluten-free. Given the lack of resources to verify the gluten content of prescription and non-prescription medications, it is best to check with the manufacturer. 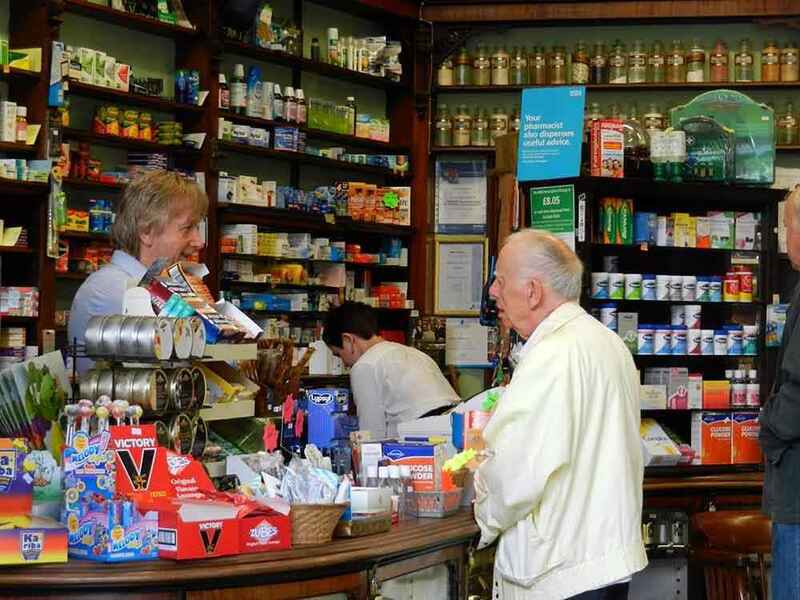 Your pharmacist can help make the process a bit simpler than doing it yourself. There are three things you and/or your pharmacist can do to determine the gluten status of any prescription drug. First is the use of a package insert (PI). You or your pharmacist can use the PI to review drug formulations, and find contact information for pharmaceutical manufacturers. Gluten is used in numerous medications, supplements, and vitamins, often as an inert ingredient known as an excipient. 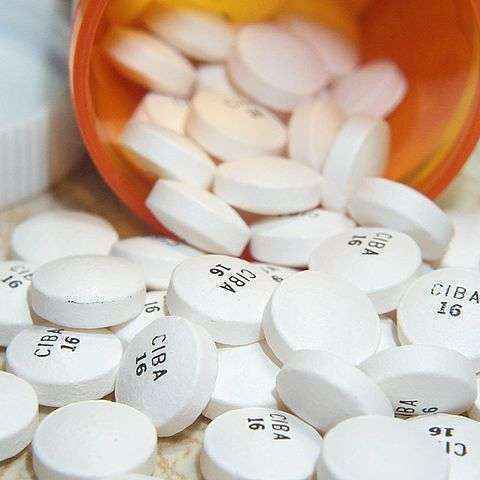 For prescription medications, the PI should include a detailed listing of excipients; however, if this information is not readily available, the FDA provides drug labeling information for prescription and some OTC medications at DailyMed (dailymed.nlm.nih.gov). For non-prescription products, there often is nothing in the PI regarding gluten content, which means you will likely need to check with the manufacturer to be sure. Second, you or your pharmacist can visit company websites to help determine whether a medication potentially contains gluten. Third, you can find manufacturer contact information on the product or its packaging, by conducting an Internet search using the manufacturer's name, or by accessing online drug-information resources such as Clinical Pharmacology, Facts & Comparisons, and Martindale. When requesting information from a manufacturer, it is helpful to provide the lot number. Recent research by Mangione and colleagues showed that information about the gluten content of non-prescription products is usually available and easy to access through the manufacturer. Fourth, there are some third-party websites, such as GlutenFreeDrugs.com, which is maintained by a clinical pharmacist, contains a detailed chart listing selected brand and generic medications that are gluten-free, as well as those free of lactose or soy. However, this is not a comprehensive or definitive list of products, as ingredients and formulations can change from lot to lot in the manufacturing process. Lastly, Celiac.org, the Celiac Disease Foundation offers a variety of resources and provides information on the treatment of celiac disease, tips on living gluten-free, and support-group contact information. Source: US Pharmacist. 2014;39(12):44-48.